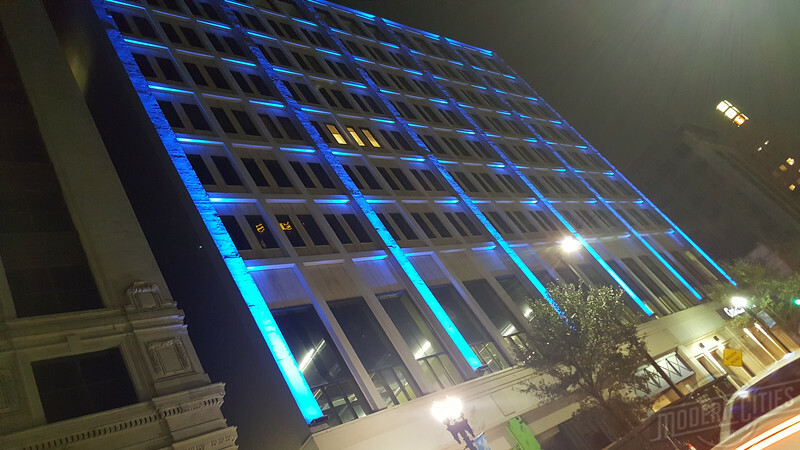 Back in October 2016, we ran an article about seven sure steps to reactivate your neighborhood. 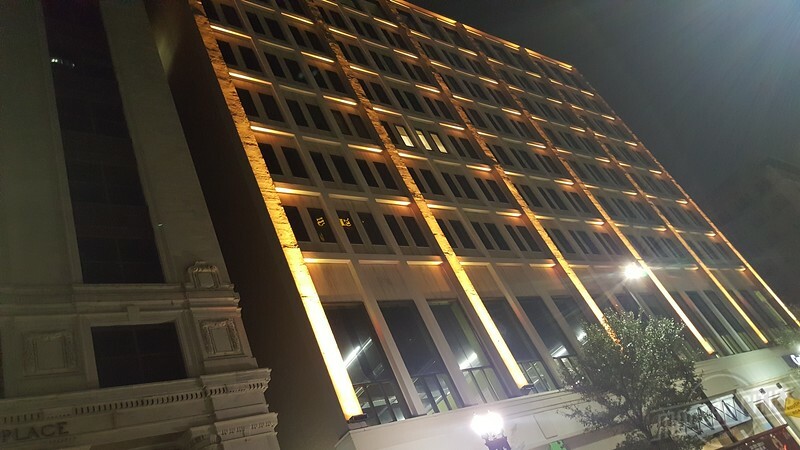 One of those steps covered the concept of utilizing architectural and night lighting to create a sense of place. 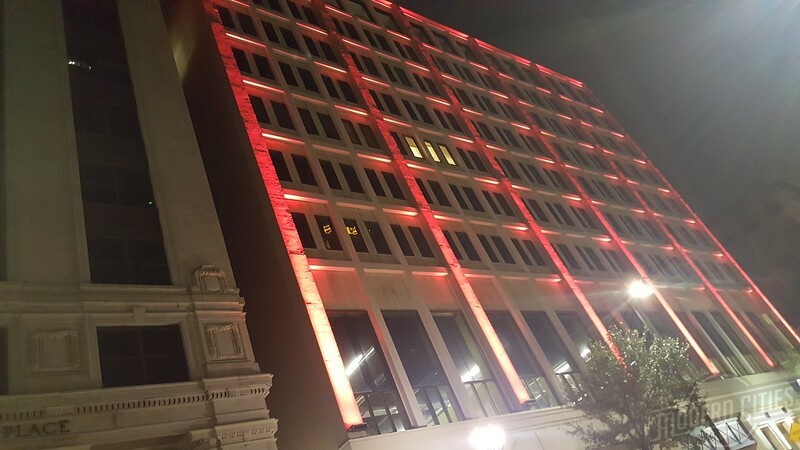 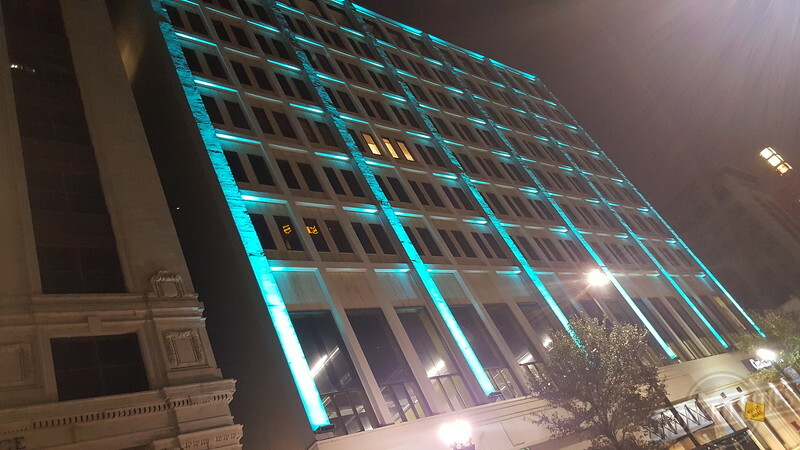 As of this week, a downtown Jacksonville building is sporting a new night time look, changing the feel of corner it anchors. 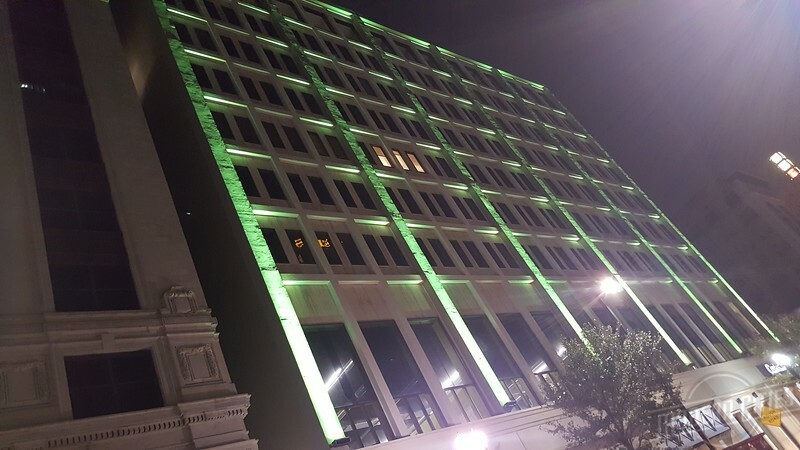 As a part of the ongoing renovation of 100 North Laura Street, the installation of night lighting is now serving as living proof of how an existing non-descript building and block can be enhanced with a little imagination.